We're just hours away from the official announcement event for the OnePlus 6T. The company is set to take the cover off its latest flagship device today at 10AM EST | 7AM PST | 4PM CET in New York, but if you're itching to see the 6T in the flesh, we're happy to say that we've located a juicy leak for you. A trio of live images has recently appeared on /Leaks. The shots might not be of the same quality as some of the renders and marketing images that have emerged recently, but they do give us a clear enough look of the phone and its retail box. 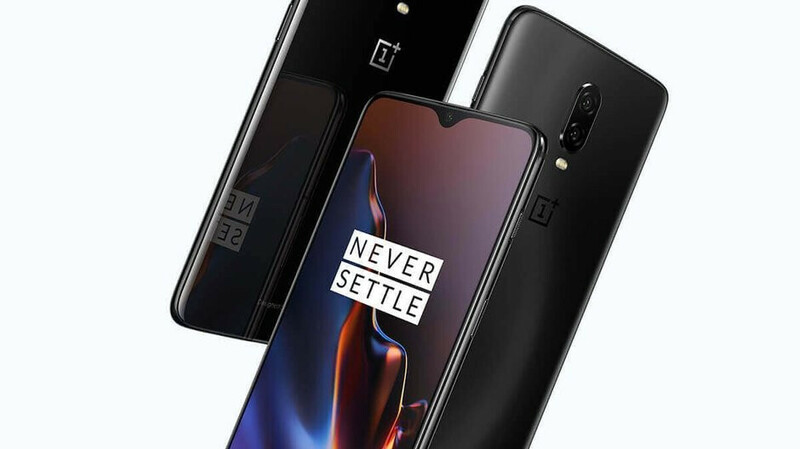 The first picture showcases the OnePlus 6T from the front. Here, we can see the all-screen design with a teardrop-shaped notch up top. It's interesting to note that the plastic covering for the in-display fingerprint scanner is still left on. The sign recommends using a screen protector that has been made by OnePlus or one of the company's partners in order for the digits reader to work without issues. The back side reveals the main dual-camera composition. It is positioned at a central place on the upper half of the handset. It consists of a 16-megapixel sensor complete with a f/1.7 aperture, and a secondary 20-megapixel camera with the same aperture. Lastly, we have an image of the retail box. OnePlus has apparently decided to add a sort of dictionary description for the term "OnePlus community" on the red strap of the box. It's full of superlatives for all current and future owners of the firm's devices. If you wish to watch the live announcement for the OnePlus 6T, don't forget to tune in here at 10AM EST. We'll be doing a full coverage of the event, so feel free to read up on all the details at PhoneArena! yes it could but its still probably the best budget flagship of the year , The Camera cant compare with iPhones ,Galaxies ,Pixels n huaweis in terms of camera. lets see fingers crossed ,they r improving them every year is a big way difference is getting smaller.